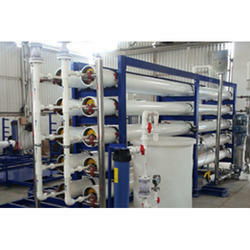 Manufacturer of a wide range of products which include ultra filtration plant, reverse osmosis plants, nano filtration plant, remote monitored ro systems, filtration plants and micro filtration plant. These plants are designed for purifying water in an industrial environment. 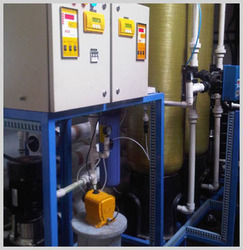 We offer industrial RO plants in standard capacities, which range from 400 lph to 3000 lph. 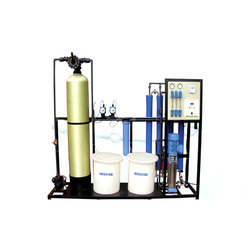 However higher capacities such as up to 50000 lph and more also can be offered. Simple to operate, Easy to maintain, Automatic operation, Compact, Adequate safety interlocks, Reject recycle loops for higher recovery. Drinking, boiler feed, process, chemicals, pharmaceuticals, beverages, breweries, semi conductors washing, car washing, laundry, hotels, swimming pools, cooking, waste water recycle, textiles, laboratories, etc. 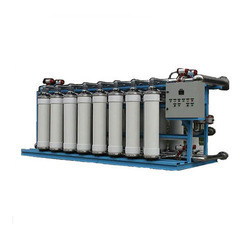 Owing to highly advanced infrastructural setup and immense knowledge, we are engrossed in offering a precision-engineered assortment of Nano Filtration Plant. Our offered product is used to reduce water hardness, to recover salts from dying baths, to remove color and to recover acids and caustic soda. The entire array is generally constructed by installing hollow fiber membranes or spiral wound membranes. We are widely engaged in offering a large assortment of Remote Monitored RO Systems to our valuable clients. 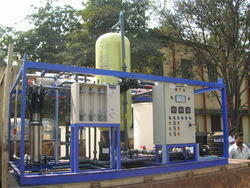 The offered systems find application in various industries for water purification. These systems are quality approved against the defined industry norms and standards by the qualified quality professionals. Additionally, customers can avail these systems at competitive prices. 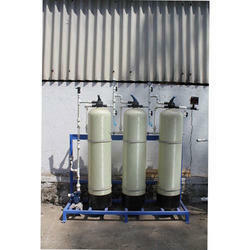 We are one of the prominent firms in offering a wide range of Filtration Plants in the market. Our provided products are designed using high-grade raw material under the supervision of experts. Apart from this, the offered plants are used in several fields such as packaged drinking water, surface water filtration, RO pretreatment, wastewater recycle, paint recovery, protein recovery, milk dairy and much more. Simple to operate, Easy to maintain, Automatic operation, Compact, Adequate safety interlocks, Automatic forward flush and back flush. Small plants for domestic use are available with hand pump to operate without electricity. Packaged drinking water, surface water filtration, RO pretreatment, waste water recycle, pharmaceuticals, paint recovery, protein recovery, milk dairy and more. 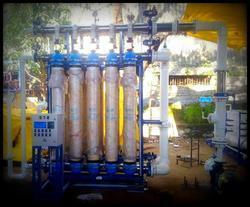 Micro-filtration plants can be constructed by using hollow fiber membranes or spiral wound membranes. In case of special aplications it is possible to use ceramic membranes. We have marked a unique position in the domain by offering a wide gamut of Membrane Based RO UF NF to our respected customers. The offered products are designed by expert professionals using high-grade materials and innovative technology. These removes residual impurities and disease-causing bacteria which delivering safe and crystal clear drinking water. Marcuras has developed top-notch expertize in designing, manufacturing and supplying a comprehensive range of Membrane technology products. Membrane technology is gaining high importance in the water treatment industry because it is easy to understand and guarantee efficient and environment-friendly purification with a minimal use of chemicals. 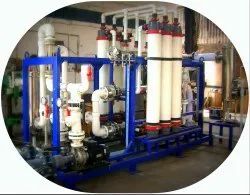 Marcuras is involved in manufacturing and supplying of a comprehensive range of reverse osmosis plants, ultra filtration plants, nano filtration plants, water treatment system, RO systems, containerized water treatment plants, water purification systems etc. We at Marcuras carefully design the plants taking into consideration various aspects such as source of water, SDI, fouling potential, temperature, desired flux rates for specific applications, scaling potentials, hydraulic balancing, type of membranes, beta factor, LSI, pretreatment, automation etc. so that the plants run smoothly for long durations. 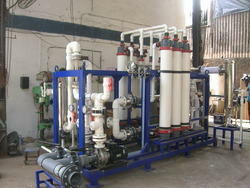 Nano filtration plant are generally constructed by installing spiral wound membranes. They have a medium-high working pressure (4-30 bar) and they are normally used to reduce water hardness, to recover salts from dying baths, to remove colour and to recover acids and caustic soda. As against RO, the NF membranes remove only multi-valent ions and hence can be used for softening. The operating costs of NF are much lower than RO due to low operating pressure of NF membranes. UF plants are gaining huge popularity as pre-treatment to RO since it saves RO membranes from variety of foulants. Surface water and treated waste water is pre-treated in UF prior to feeding it to RO as it allows RO to do its job of removing dissolved salts effectively. Absence of UF in such cases results in frequent failures, CIP requirements and consequential losses for the end user. 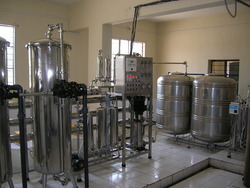 The technology and process involved are relatively simple, membranes representing very fine filters, which act like sieves through which water is either pressed or sucked. Any content, which is larger than the microscopic pores, is separated out and depending on the fineness of the filter, a differentiation is made between micro-, ultra- and nanofiltration. Reverse osmosis is an additional variation, in which only water molecules pass through the membrane. Marcuras has been using this membrane process in combination with conventional cleaning processes for many years and due to this experience and in-house innovations, has built up a pool of comprehensive expertise. We offer a diversity of membrane processes and select the best and lowest-cost variation for each application. 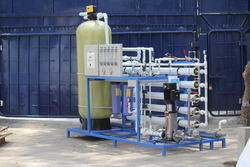 Looking for Membrane Separation Plant ?